The Moscow Arbitrary Court has ruled that Visa's decision to terminate its contract with Alltunes, MP3sparks, and AllofMP3 was illegal under Russian law because they operate legally according to ROM, the Russian Organization for Multimedia & digital systems. 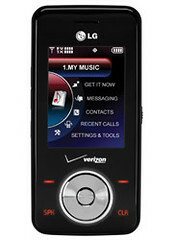 Is LG making the RAZR mistake? Fashion or not, trend or not, there's no excuse for riding your success and market share in to the ground instead of innovating. Even if you don't get it right, don't have "The Next Big Thing," you at least have to try. I saw the ad too, and I don't get it either. The lawsuit, filed by brothers Cameron and Tyler Winklevoss, and Divya Narendra, accuses Zuckerberg, Facebook's 23-year-old C.E.O, of stealing the source code, design, and business plan for Facebook in 2003 when he briefly worked in the Harvard dorms as a programmer for their own fledgling social-networking site, now known as ConnectU. These articles were published on July 17, 2007.